Emancipationfrompoverty.com's Editor-in-Chief, Charles E. S. Buchanan-Boardman is being included in one of the oldest premier directories of business individuals in America, Marquis Who's Who. MCLEAN, VA, January 5, 2018, Charles E.S. Buchanan-Boardman has been included in Marquis Who’s Who. As in all Marquis Who’s Who biographical volumes, individuals profiled are selected on the basis of current reference value. Factors such as position, noteworthy accomplishments, visibility, and prominence in a field are all taken into account during the selection process. Backed by a decade of professional excellence, Mr. Buchanan-Boardman works as corporate accounting analyst for Park Hotels and Resorts, a publically traded REIT. Prior to this, he served as an accountant for Navistar Inc. and Leidos. He began his career as an accounting clerk and bookkeeper for various companies. 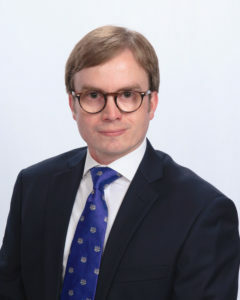 An alumnus of Liberty University, Regis University, and Florida International University's Chapman Graduate School of Business, Mr. Buchanan-Boardman holds an undergraduate degree in accounting as well as graduate-level degrees in business administration and real estate. He holds memberships in the Institute of Management Accountants, St. George's Society of New York, Sons of American Colonists, the Sons of the American Revolution, The White Lion Society, and The Heraldry Society. As a recently disinherited former heir and relative of Montana's "Copper King" Marcus Daly, he wants to dedicate his later years to helping others to preserve their family fortunes by starting a financial planning business. His coat of arms is registered with the government of South Africa. The Cost-Effective Allure of Freelance Consulting: Ten Cheap Tools for Starting Now!